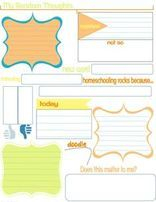 Free Homeschool Student Planner Kept Here. 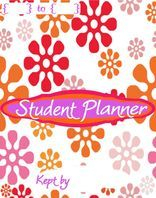 "the original diy Step By Step planner"
My Free 7 Step DIY Step By Step Homeschool Planner is on my blog, I am hoping to streamline the process and this will keep the forms for My Free Student Planner and My Curriculum Planner from being too overwhelming for a first time visitor. 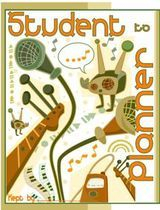 Go Step By Step to build a unique student planner. Listed are some of the ways I helped my children manage their time. 1. By allowing them to choose which subject to cover first and in what order. 2. If they do not get what is required of them for my school day because they chose the order in which the subjects are to be covered, then failure is best learned at home where it can be addressed. I don’t feel failure is necessarily a time of punishment but of education and experiment. You as the mom know if the child’s attitude was a lax one where discipline may be needed or if it truly was a failed attempt to manage his time. As moms, we are constantly trying to find schedules and routines to suit us until we find something that is “doable”. The child should be allowed to do this while at home where he is learning independence and time management. 3. Setting timers if the child is not stressed by them but sees them as a “tool” to balance time spent on subjects and not a “race against time”. This has always been stressed by me and they see me using it to cook with in our kitchen and knows it signals anything that I am cooking “done”. So any child, young or old can understand that ) Again, it’s all how you explain it to them. 4. Adding visuals to our school area to help them see where they are at during the day in particular subjects. For example, each of my son’s have a stack of drawers that contain one subject in each drawer. They know to start at the top and work their way down. This lets them see how many subjects or drawers they still need to cover that day. 5. 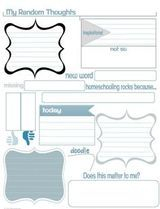 Check off lists made by me or by him looking at my Curriculum Planner from an early age is how I trained my oldest son. 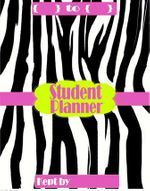 When they are young, let them see you write/plan in your planner. Organization is learned by modeling first way before they use a planner. 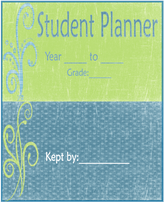 As I have tips, I will add them to this main page for the Student Planner. 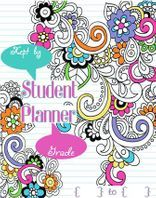 Too, I want you to know that many of my options found on Steps 5 – 7 work for this Student Planner so be sure to look over those pages and add in what your teen wants as you build his or her planner. 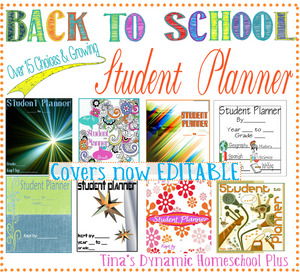 Important: If you have not used my planners before, please read the Main Page on my blog Tina's Dynamic Homeschool Plus so you understand how I organize this step by step for you including the printing process. I do all the hard work for you, just read and take your time! Step 2. 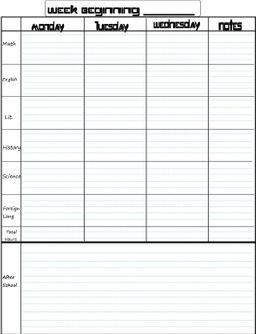 Like you, your student may want calendar pages. If you want calendar pages, choose from my calendar page on my blog which is Step2: Choose Calendar/Appointment Keepers. 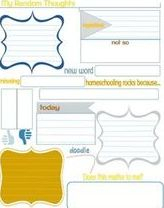 Sometimes your child does not need as extensive calendar keeping as you do, so you decide. Step 3. Choose Lesson Planning Pages here specifically designed with a student in mind OR choose the curriculum planner pages on my blog designed with a teacher in mind. So many choices! Worse than shopping with a teen! Note: this is the MAIN part of your planner and when you print you will want to print front and back and print off enough for the year. Too, you may want to print off weekly instead of coil binding. Decide what is best for your teen. For me? It takes more time to print it all off at one time, but I have it for the whole year. 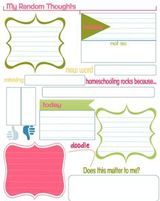 Too, sometimes a teen may want a very unique system especially if he is taking Honors or College courses so just know you have the option of including the curriculum planner pages that I designed with more a teacher in mind on my blog Tina's Dynamic Homeschool Plus. 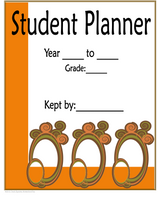 The lesson planning pages here, however, are more suited for each student having their own planner that is unique. Again, you have choices and determine what is good for you instead of purchasing a planner where you only use parts of it. 1. Download has school subjects filled in or 2. 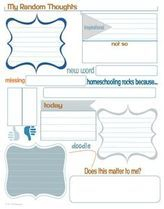 Editable and you type in school subjects. 2.Download EDITABLE Pages where you type in subject. Download here with subjects typed in. 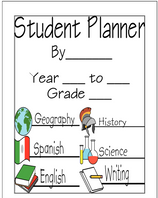 Download here EDITABLE and you type subjects in. 1.Download here subjects typed in. 2.Download here EDITABLE and type subjects in. 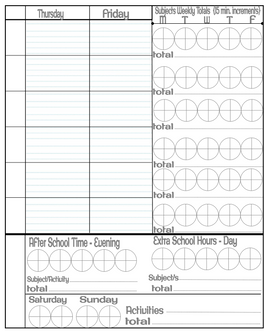 If you need more accountability you can track subjects and activities in 15 minutes intervals by shading in the pie. 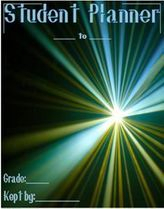 Download Editable subjects lesson planning page here. Step 4. Choose Fun Pages. 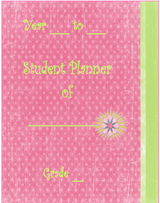 The pages created below were designed to make the planner something that your student can call his own. Planning, I have always said, is part journaling. Allow your student room to create if he wants to. 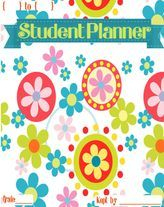 Print off as many or mix match the colors along with the black and white one to spread throughout the planner or make one section for just Random Thoughts. They have many color choices. 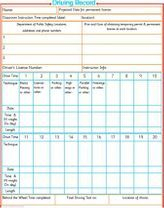 About the Driving Record - Whether you choose a state approved program and teach your teen yourself or you have them attend a driving course, this form will help you track the options. Steps 5 - 7. Choose a Back Cover, Bind it, Personalize It. 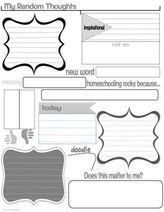 Click here to go to Step 5 on My Blog, Tina's Dynamic Homeschool Plus when you are finished here to see if you want to add any more pages and to go through Steps 5 through 7. 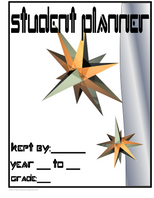 Like the curriculum planner, the student planner can be personalized by adding pictures or any other form you student wants. Download page for boyor girl here. This page can go at the end of each year and be used as a memory keepsake page. Download page for girl here. 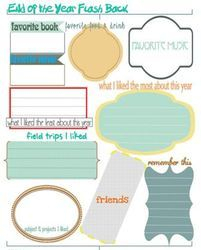 This page can go at the end of each year and be used as a memory keepsake page.